← The Future of Customer Relationships: Where is all this heading? Thanks for an inspiring post. I’ve been holding back on my idea of the “Clienteering” space in business because I didn’t want to appear foolish, take risks and because I was comparing myself unfavourably with other “experts” in the customer centricity field. In my world Clienteering is what a business needs to do to exploit the B2Me channel i.e. the channel where we listen to customers to obtain the “actionable insights” required to drive our businesses forward. 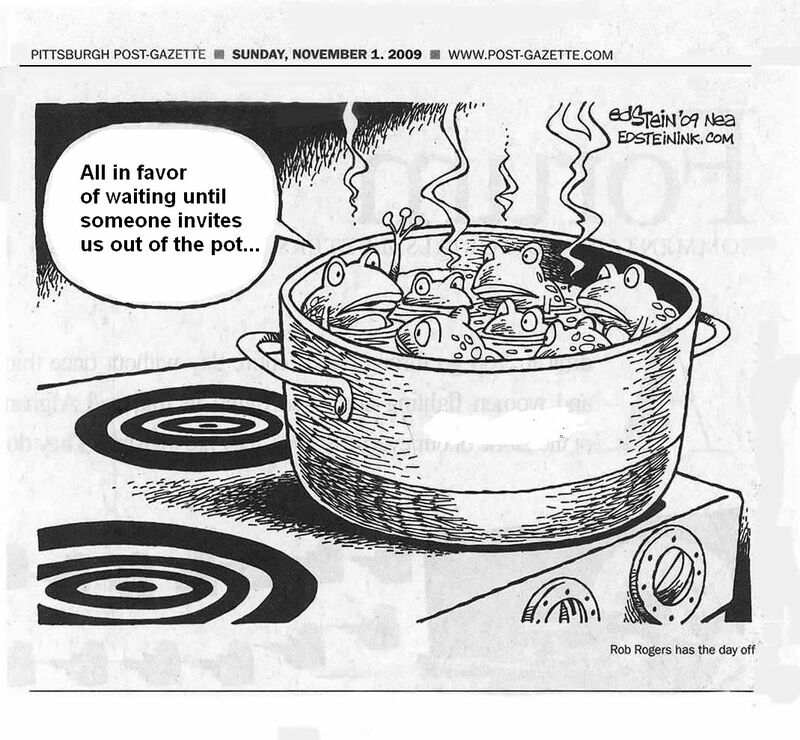 Until businesses take some definite new directions rather than tinkering round the edges (of existing silos) they are still “in the pot” rather than jumping clear. p.s. the use of my language is not the key but rather the grouping of skills and processes in a cross functional space that in most cases are absent or deficient. Thanks for sharing your journey and best wishes on your next chapter! Nice post! What I like most about Godin’s quote is that just taking action is not enough – you have to innovate to make a difference. Taking it back to the SFA segment of CRM, we’ve seen innovation in the business model, pricing, delivery, and messaging, but not in features. Slapping an activity stream on CRM is not innovation; the space is still predominantly made of hierarchical interfaces that are designed to store data instead of keeping you productive. That’s why I keep telling our guys that our many competitors don’t define us – we need to concentrate on our special sauce. I am studying Retail Management #mkt4760 with @dr4ward and we have been amazed how many large organizations are not in tune with all the CRM opportunities social media has to offer. CRM seems to be more important today than ever in winning business and I wonder if an organization is not involved in social media as a form of CRM is it too late to start? Thanks for stopping by and kudos to you for reaching out and engaging. It’s definitely not too late to start, and while it’s easy to engage on Social Media, aligning communications and messaging with all the moving parts of an organization (sales, marketing, customer service, manufacturing, distribution, etc.) can actually be quite complicated. Most large (and small) organizations have been built around an industrial age business model. The opportunities (and challenges) that social channels present are a challenge for most to integrate with existing communication channels (face to face, phone, email, chat, snail mail, etc), and it likely requires the creation of new rules, standards, culture, compensation structures, etc. If you were to get hired post graduation to a retail manufacturer who were not yet participating in social media, why would you tell them it was important? You have 3 minutes with the CEO of your new company. Ready….Go! I like the article, and sometimes I feel like I’m that frog that jumped out quickly only to find that it’s awful cold and uncomfortable outside having gotten used to the inside of that nice warm pot of water. Thinking outside of the box, however, becomes much easier when you’re not inside it anymore! for me.. ive never been able to think inside the box. so I am delighted.. many frogs are jumping..
i’ve been designing games since I was little. its just how I learn. and I had a public school teacher who spotted it… thankyou universe. we have a goal, we get things based on a set of rules (e.g. contacts, accounts, information, insights, whatever…), and we get rewards.. (rewards is actually wrong word.. we get clear repeat indicators of our progress) and its all voluntary. that was not my insight. Its the beautiful swedish game designer Klaus Mellander (founder of celemi games, pre-digital). we actually don’t need these to “run a business”. sure people currently need them to feel safe, know what left and right hand are doing, or mitigate risk. please consider if your thinking linear. There is great book by Neuroscentist who had a stroke (Stroke of Insight) is the book name. And a TED talk too. she shows in the talk.. how we are limited by our own rational, linear processing preference. – “fiero” e.g. yes! you shout with such a sense of victory. 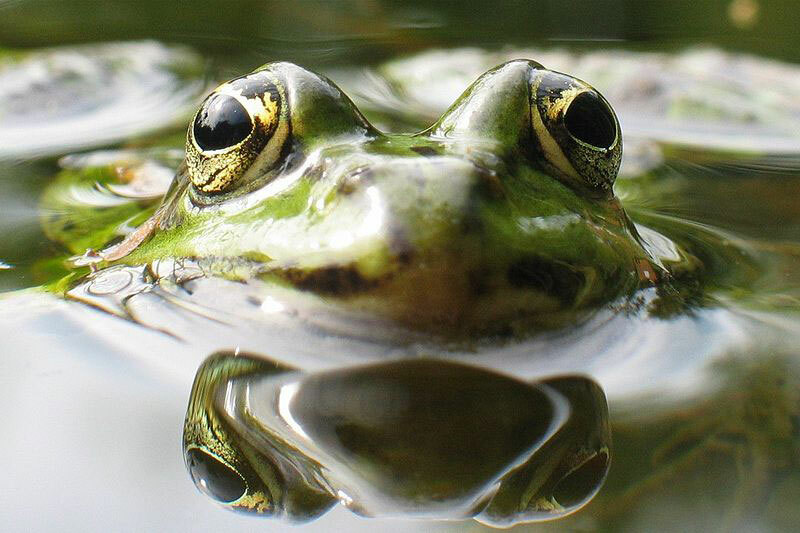 so to frog jumping… frogs in flow.. frog’s experiencing fiero.